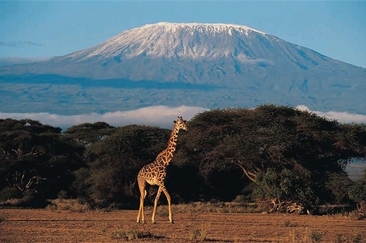 I Don't Like My Husband’s Family, What Should I Do? When you find the love of your life and decide to get married, it can be such an exciting and rewarding experience. But unfortunately, you're not just marrying your partner, in a way, you're marrying his family too. Most people have had their entire lives to learn the best ways to deal with their own parents, brothers, or sisters. But when you try to incorporate a new family with completely different personalities, things can get tricky. So what do you do if you hate your husband's family? How can you keep the peace? You may hate your in-laws, but try your best to be cordial. You're an adult, and your in-laws are very important to your husband. Do your best to be nice, especially for your kids (if you have them). Being catty or mean will only cause problems between you and your husband. You may hate his mother, but she raised him and probably has a very special place in his heart. If you really feel like your relationship with your husband's family is in trouble, enlist his help. You do need to tread lightly on this subject, however; you never want to make your husband feel like you're trying to drive a wedge between him and his family. But you and his family have one big thing in common: your love for him. He may be able to talk to his family and remedy a lot of the tension. If you hate your spouse's family, the best way to combat the tension is to set boundaries. Whether you or your husband speaks to them, make sure you have a polite but direct conversation about what you expect. You may not want everyone dropping by all the time, or giving unsolicited advice. Just make sure you and your spouse are on the same page. The clearer you are, the smoother your relationship will hopefully be. Unfortunately, if you hate your in-laws because they take things too personally or make hurtful comments, the best thing to do might be to just let it roll off your back. Obviously that's a very difficult thing to do if someone hurts your feelings, but the more you can let the comments go, the more peaceful everything will be. As we mentioned before, don't be a pushover if things really go over the line, but definitely develop some thicker skin and pick your battles. I know it's hard when you're constantly thinking, “I hate my husband's family.” But remember, you can't blame him. It's not his fault when his family behaves less than favorably. Even if you think he should stand up for you more, remember he's caught in the middle, and it's also a difficult situation for him. Make sure you know those things that will really get under your skin during family visits. Once you know the reasons why you dislike your in-laws so much, make an effort to avoid the things that trigger you. You can't always avoid touchy subjects, but you can do your best to avoid the topics that may lead to them. Social media can be a great tool for keeping in touch with friends and family, but as we all know, there can be a dark side. Be sure not to vent about your husband's family online or air your dirty laundry. It's embarrassing for everyone and is guaranteed to only make things worse. It's hard to feel compassion for a person you hate, but try and put yourself in their shoes. If you're having problems with your mother or father-in-law, know you may be in her shoes later in life. See if you can find some common ground. You don't have to love them, but a little bit of compassion goes a long way. Try not to hold grudges. No one is perfect, and honestly your in-laws may really grow on you. Sometimes it takes time to really get to know someone. You may actually find you have more in common with your sister-in-law than you originally thought. Following these tips is still easier said than done when you’re thinking, “I don't like my husband family.” But it has been dealt with successfully before. 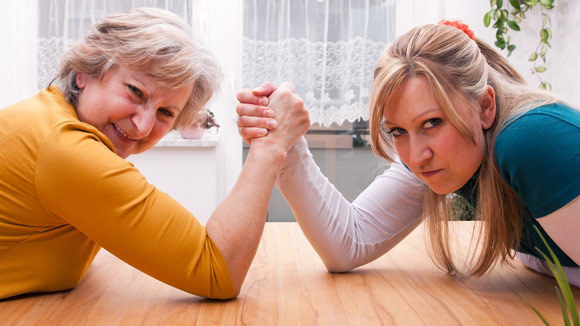 Below are stories from three people who have found a way to deal with in-laws they hate. 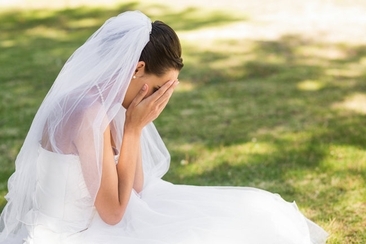 Death in family before wedding can turn our world upside down, but with answers to some of the questions in your mind, it would be easier for you to cope with such conditions. 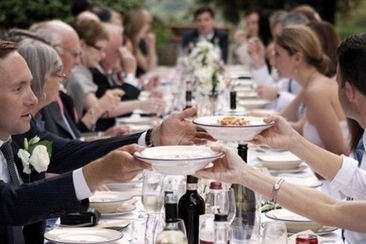 Do you think a wedding reception of meal style is the best option for you and your loved ones? Then, read our amazing tips and tricks on how to make your reception an ultimate hit. 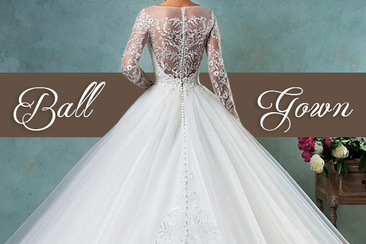 Looking for ball gown wedding dresses? This traditional silhouette is a timeless classic. It fits almost all the body shapes and give you an elegant look. Check our top picks. 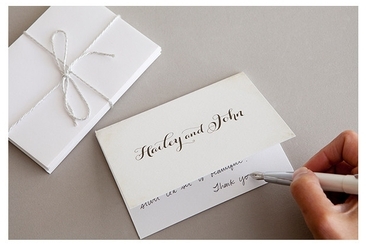 Writing your wedding cards and worrying about breaking the wedding thank you etiquette rules? No more worries! We have put together a simple guide to help you along the way.